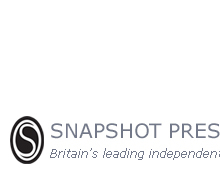 This website is maintained by Snapshot Press. We regard your privacy as important and we comply with the General Data Protection Regulation (GDPR) (2018). This statement explains our privacy and data-protection practices. There may be times when we require your personal information in connection with your use of this websitefor example, if you make a purchase or enter a contestor if you make an enquiry. This information will be gathered and processed fairly, lawfully, securely and in accordance with your individual rights. In order to complete a purchase on this website we will require your name, postal address and email address, and your business name and telephone number if appropriate. How will Snapshot Press use your personal information? Snapshot Press will process accurate, adequate (but not excessive) personal data for specified purposes. If you make a purchase from Snapshot Press, or enter one of our literary contests, we will use your personal information to process your order or contest entry, and to subsequently inform you of results, publications, and other contests. Our mailing list members will receive occasional email updates regarding our publications, special offers, and contests and awards for haiku, tanka and other short poetry. Will Snapshot Press ever share your personal information? If we receive your voluntary details we will not disclose them to any third party without your consent, unless we are required to do so by law, the sole exception being for the purposes of delivering your goods. Please note that in addition to your name and address the couriers we use for large orders may require your email and/or phone number so they can advise you of a delivery time or request directions. We value your security and take every precaution to protect your personal data. No personal data is stored online or in email client software (i.e., address books). Will Snapshot Press hold your financial information? No. Snapshot Press does not store your credit card numbers or any other financial information, or have access to any such information for orders placed on this site. When you order online all financial information is processed by PayPal, our payment services provider. The connection to PayPal is made with Secure Sockets Layer (SSL) software, which encrypts information between you and PayPal. Do you need to create an account to order online from this website? No. You do not need to create any online account with Snapshot Press or PayPal in order to make a purchase. When you make a purchase you have the option to use your credit or debit card or an existing PayPal account. When you complete the purchase you will be given the option to create a PayPal account if you do not already have one, but this is completely optional. To use our shopping cart we recommend that you have cookies turned on in your browser. All shopping cart connections are secure (look for "https" rather than "http" at the beginning of your browser address bar) and any cookies required in connection with purchases will expire after the completion of the purchase.